Sally Mauk: Welcome to a special edition of "Capitol Talk" our political analysis program I'm Sally Mauk And I'm joined by University of Montana Political Science Professor Rob Saldin and veteran Capitol Reporter Chuck Johnson. Chuck, the Legislature met in special session for three days this week to deal with a $227 million budget shortfall. And they've come up with a combination of cuts and transfers and fees to deal with it but not with any new tax increases as the governor had proposed. Republicans of course control the House and Senate, and Chuck they got a lot of what they wanted out of this special session. Chuck Johnson: That's correct Sally. The main accomplishment they cited after the session adjourned was preventing tax increases on Montanans, and that seemed to be their primary goal. However, as you know, Democrats I think hoped to pass some tax increases to reduce the amount of cuts that would have to be made, and that failed. SM: Well Republican speaker of the house Austin Knudsen wasted no time Chuck bragging about what was accomplished. 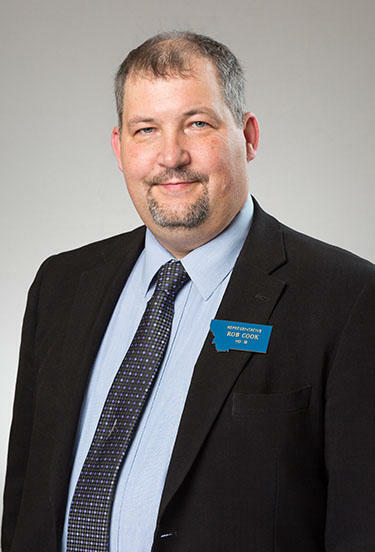 "The Republican caucus was committed to not raising taxes on hardworking Montanans. And that's what you've done here today," Knudsen said. "Last couple of days we've stayed united and strong at the Republican caucus. And frankly we've given the governor all the tools he needs now to fix this crisis that he's hit that he says he has." Sally Mauk: Chuck one of those tools is $30 million from the owner of the private prison in Shelby in return for a big contract extension. "We have a carefully crafted web of legislation now that's meant to force us into accepting something that is really morally reprehensible to a number of people on this side of the aisle," said Rep Kelly McCarthy. Chuck Johnson: Yes and that one still up in the air Sally. We don't know if that will happen or not. It was some sort of high stakes poker in which the operator of the private prison offered the state the $30 million in exchange for the state extending the contract by a decade. And Governor Bullock seemed irked about how this all came to pass but was noncommittal about whether he'd signed the contract or not for an extension. Sally Mauk: Well many Democrats besides the governor like Billings Representative Kelly McCarthy hate this deal. "We have a carefully crafted web of legislation now that's meant to force us into accepting something that is really morally reprehensible to a number of people on this side of the aisle," McCarthy said. Sally Mauk: So Chuck, many Democrats think prisons like the one in Shelby, the for profit prisons, are prone, for one thing, to human rights abuses, and that's part of their objection. Chuck Johnson: Yes, as well as they think it's morally reprehensible to have a profit making company make money off the incarceration of inmates. Sally Mauk: And also Chuck, the state is moving towards trying to reduce the number of cells, trying to reform the corrections system so that fewer people would have to be incarcerated which would make a 10 year commitment to a private prison even more, I guess, sketchy. Chuck Johnson: And that's what some Democratic legislators said during the regular session earlier this year about a dozen bills passed. Some of them resulting from an interim committee or commission aimed at reducing the need to incarcerate people; trying new approaches, putting people different places other than incarcerating them in 24/7 lockup. So I think for Democrats they see this -- and actually Governor Bullock mentioned that yesterday as well -- that this is not a good thing to do in light of those changes that were passed earlier this year. But we don't know what will happen yet. Sally Mauk: Conrad Republican Llew Jones whose district includes the private prison says the governor doesn't have to accept the deal. "He can certainly take the deal. He can choose to adjust his ending fund rebuild, or he can do additional cuts, I guess. He has options, but he certainly is under no obligation to take the deal," Jones said. Sally Mauk: But does the governor really have a choice here? I mean they're all bad choices from his point of view, right? "He can certainly take the deal. He can choose to adjust his ending fund rebuild, or he can do additional cuts, I guess. He has options, but he certainly is under no obligation to take the deal," Sen. Llew Jones said. Chuck Johnson: Well I think he would probably agree with that. He would have to, if he doesn't take the deal, he would have to come up with another $30 million in budget cuts. And remember earlier when we were talking about the special session he was looking at having to make $227 million in cuts. Now it's down to about $75 or $76 million. So that might add to that. And that's not what he wants to do. But he may be forced to take it. Sally Mauk: Rob, Governor Bullock says they all reached a "reasonable and responsible compromise to balance the budget" and avoided, as Chuck just mentioned, the severe budget cuts. But that may be small comfort to many who still are going to feel the impact of some cuts. Rob Saldin: Sure. I mean, I think basically that the governor's right on this point. I mean look we've known about this budget crisis for months and initially it wasn't all clear that there'd be any collective effort to creatively fill the hole. Remember that the governor has the authority to unilaterally, on his own without the legislature, make cuts of up to 10 percent. And that would have been more than sufficient latitude for him to resolve the budget shortfall on his own. And we got a little flavor of that, I think, from the Austin Knudsen clip you played earlier where he where he kind of suggests that this is the governor's problem it's not the legislature's problem. And so, that was one option, to do it all through cuts. The other option was a special session, but it wasn't initially obvious that the Republicans would have any appetite for that. They could have said, 'Hey governor this is basically your problem'. We did our job last spring and you already have the authority you need to fix this thing, so go to it. And had that scenario played out, doing it all through cuts, that really would have been catastrophic for many agencies and public programs. So, from that perspective, you know yeah, if only one third of the shortfall has been made up through cuts, that's an acceptable outcome. And really in a way, I think that's about as good as the governor and the Democrats could have realistically hoped for going into this special session. The Republicans have very large majorities in the Legislature. Bullock had already put the cuts on the negotiating table, so if anything, it seems to be the percentage of cuts was going to go up. But it didn't go up, and it didn't go up even though Republicans rejected any of the tax increases, which according to the governor's plan was supposed to account for one third of the solution. So given all that, I mean, I really do think there are some sighs of relief at many state agencies. It could have been a lot worse. But all that said Sally, you're right it's still the case that there are going to be some cuts, a lot of those cuts will hurt. Some services are going to be impacted, some will be eliminated. Some state workers are going to lose their jobs. All of this comes on the heels, remember, of a regular legislative session earlier this year that had already left a lot of state agencies feeling like they were in a much more precarious position than they had been. So yes it could have been worse but certainly nobody's throwing a party either. Sally Mauk: Chuck there was one issue that came up in this special session that really had little to do with the budget and that was a proposal by Republican Al Olszewski to prevent the health department from implementing a rule that would allow people to change the gender on their birth certificate. This is aimed at people who are transgender obviously, and that bill didn't pass, but that it came up it all seems odd at best for a special session called on the budget. Chuck Johnson: Now this came out of the blue, and Olszewski argued it was a budget issue because this would cost millions of dollars for all the state agencies to reprogram their computers to add another line on various forms for driver's licenses and hunting and fishing licenses. In fact it will cost the state nothing according to the health department. Chuck Johnson: And what it would do, it would allow people to call or write the health department and get a new form and fill it out and send it back in or deliver it. And instead of having to go to district court where I assume you probably have to have a lawyer and you know have to go through the court system. So it makes it much easier. And you know, it was kind of a side issue at the session. I don't think anyone thought it would pass. It ended up not being heard in the House. I'm sure Governor Bullock would have vetoed it had it gotten to him. And this happens as special sessions. Anyone can expand the session if you get 76 of the 150 legislators to sign a petition, and there are 91 Republicans, so there were a couple of issues like this; one was the furloughs, and that one passed in the governor more or less said he's going to veto it. Sally Mauk: Right. And of course that issue got Olszewski name in the headlines and that he might have an ulterior motive for that given that he's running for higher office. Chuck Johnson: Yes. He's a candidate for the U.S. Senate on the Republican side and he was, I think, maybe looking for some attention in the special session. The bill didn't go anywhere so I don't know if it was good attention or bad attention, but it depends on your outlook I guess. Sally Mauk: Rob, the state's budget woes are presumably solved for now but I don't think anyone on either side of the aisle believes these fixes have put the state on some kind of firm financial ground for the long term. Rob Saldin: No, a lot of this stuff will have to be revisited. And you know, one thing that stands out to me Sally is the impact of this summer's fires. This summer the state of Montana spent three and a half times as much as it normally does fighting fires. And going into the summer there is every reason to think that this was not going to be a particularly bad summer for fires. Quite the opposite. People were predicting that it was going to be quite mild. And so, that's alarming looking forward. I mean, you can imagine a scenario where everything is lining up for a bad fire season. And then we still don't get any rain for a long period of time. I mean, you could imagine things being much worse in that sense, and so, looking forward for the state I think fires are going to be an ongoing challenge in addition to all the other budgetary issues. Sally Mauk: Right. And Chuck, the debate that was in this special session of cuts versus tax increases is going to come up in the next regular session of the Legislature for sure. Chuck Johnson: Absolutely. The Democratic Party and the Legislature firmly believes that we need to raise revenue through tax increases, particularly aiming them at the wealthiest Montanans. A bill passed in 2003 under Governor Martz has greatly reduced revenues from income taxes by hundreds of millions of dollars. And they contend that if we could roll that back some we'd have way more revenue than we do now and that would meet the needs of state government. Republicans argue, you know, our taxes are too high as it is and they would like to find ways to reduce them, and so this is definitely a preview of the next session. Sally Mauk: You've been listening to a special edition of "Capitol Talk" our political analysis program. I'm Sally Mauk and I've been speaking with University of Montana Political Science Professor Rob Saldin and veteran Capitol Reporter Chuck Johnson. 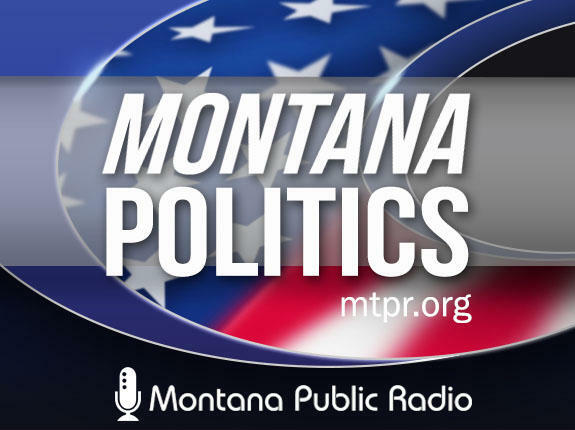 Sally Mauk: And a final note: Chuck and Rob and I will be back on the air starting in January to analyze the 2018 Montana congressional races. And until then, Chuck and Rob, thanks. 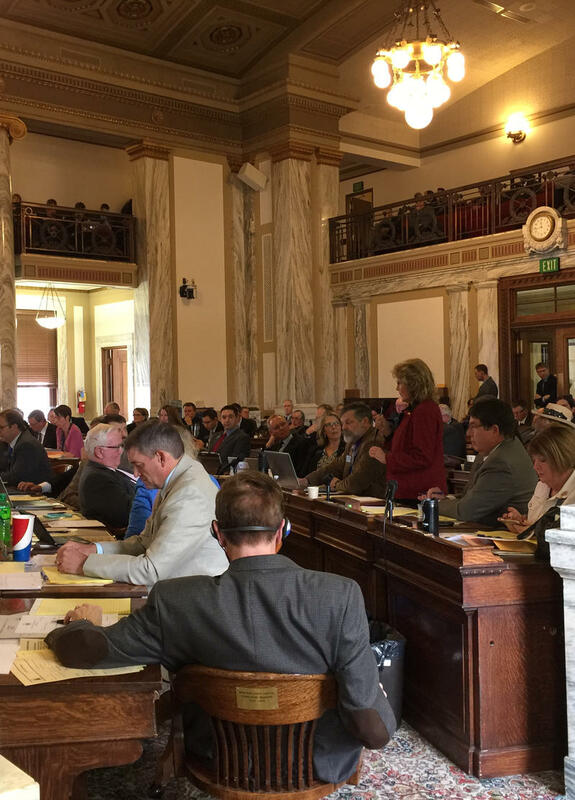 The Republican party’s keystone bill to patch the state budget passed Montana’s House and Senate Wednesday afternoon nearly along party lines. House Bill 2 is a package of bills Republican leaders are pressing forward with. Democrats say HB 2 handcuffs them into choosing between the better of two evils. House Bill 2 is the Republicans’ plan to make permanent the $76 million in budget cuts Governor Steve Bullock put in place Tuesday. 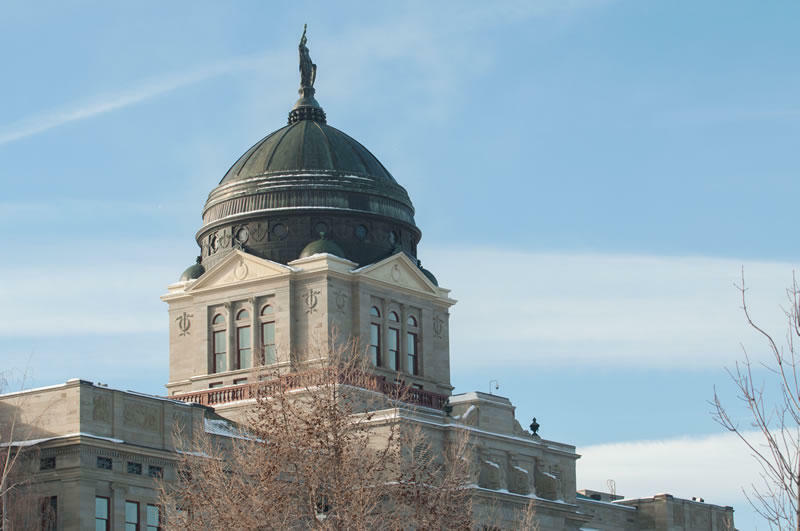 The special session of the Montana Legislature got underway with lawmakers still at odds with the Bullock Administration on how to deal with the projected $227 million budget shortfall. 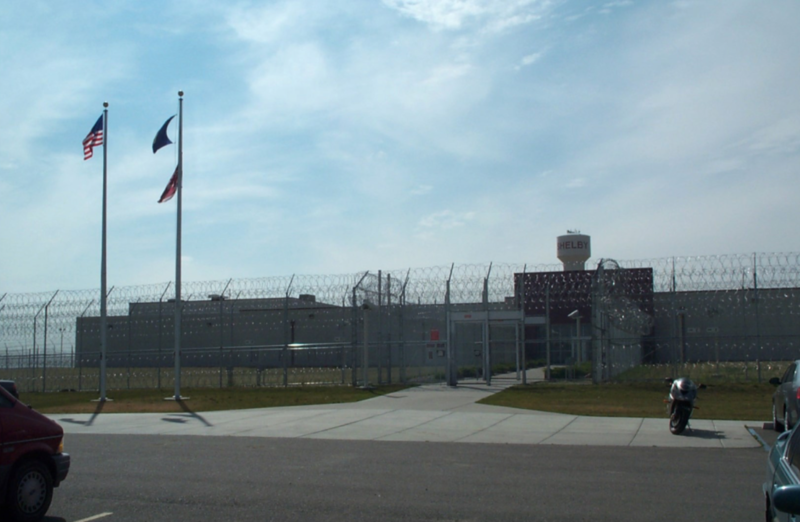 One sticking point remains over a proposal to accept $30 million in exchange for extending the contract for a private prison in Shelby another 10 years should be part of the mix. As state lawmakers lay the groundwork for a special legislative session to tackle Montana’s $227 budget shortfall, the proposed GOP deal for how to plug the gap is coming into focus. At the same time, two independent sources have confirmed to the Montana Free Press that Gov. Steve Bullock, a Democrat, in “in talks” with top executives of CoreCivic, the owners of a private prison in Shelby that is at the center of the 2017 special session’s most contentious proposal. CoreCivic is offering to return $30 million in state money set aside for the eventual purchase of the 664-bed prison in exchange for a 10-year renewal on its contract to operate the facility. That contract is up in 2019. 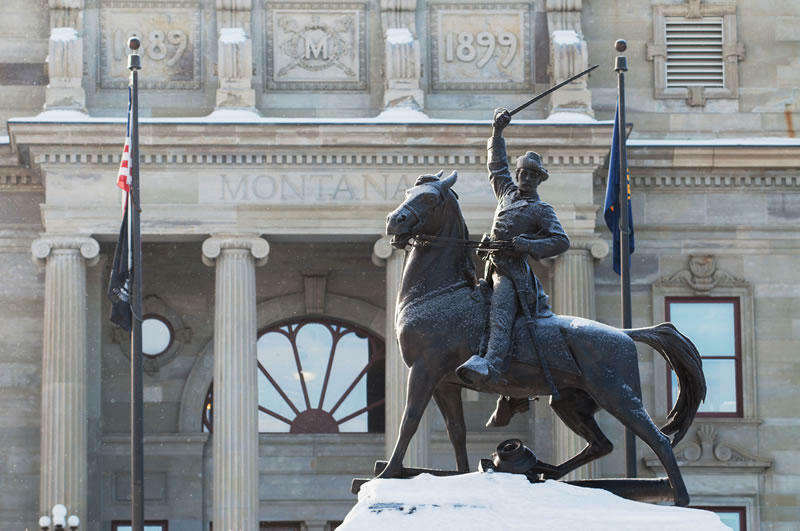 Montana is facing a state budget crisis. The state is projected to have about $200 million less than it needs to fund everything in the budget that lawmakers and the governor agreed to this year. That much is clear, but there's a lot of disagreement about why the $200 million hole is there, and what to do about it. Today and tomorrow we're going to take a look why the state budget is so far out of whack.